"Stockholm Conference" redirects here. For the socialist conference that took place in 1917, see Third Zimmerwald Conference. The United Nations Conference on the Human Environment was held in Stockholm, Sweden from June 5–16 in 1972. 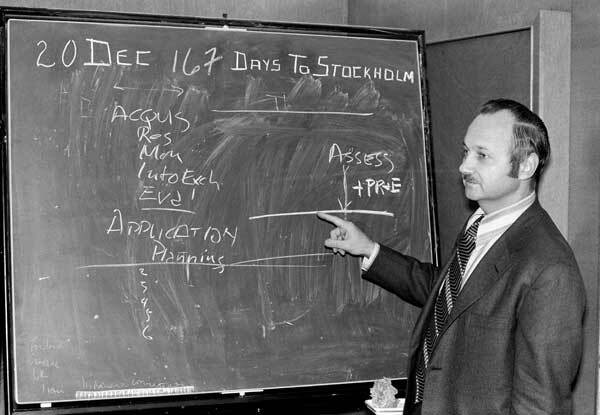 When the United Nations General Assembly decided to convene the 1972 Stockholm Conference, at the initiative of the Government of Sweden to host it, UN Secretary-General U Thant invited Maurice Strong to lead it as Secretary-General of the Conference, as the Canadian diplomat (under Pierre Trudeau) had initiated and already worked for over two years on the project. Sweden first suggested to the United Nations Economic and Social Council ECOSOC in 1968 the idea of having a UN conference to focus on human interactions with the environment. ECOSOC passed resolution 1346 supporting the idea. General Assembly Resolution 2398 in 1969 decided to convene a conference in 1972 and mandated a set of reports from the UN secretary-general suggesting that the conference focus on "stimulating and providing guidelines for action by national government and international organizations" facing environmental issues. Preparations for the conference were extensive, lasting 4 years, including 115 governments, and costing over $30,000,000. The Soviet Union and other Warsaw Pact nations boycotted the conference due to the lack of inclusion of East Germany, which was not allowed to participate as it was not a full member of the UN. At the conference itself, divisions between developed and developing countries began to emerge. The Chinese delegation proved hostile to the United States at the conference, issuing a 17 point memorandum condemning United States policies in Indochina, as well as around the world. This stance emboldened other developing countries, which made up 70 of the 122 countries attending. Multiple countries including Pakistan, Peru, and Chile issued statements that were anti-colonial in nature, further worrying the United States delegation. So harsh was the criticism that Rogers Morton, at that time secretary of the interior, remarked "I wish the Russians were here", to divert the attention of the Chinese criticisms. The meeting agreed upon a Declaration containing 26 principles concerning the environment and development; an Action Plan with 109 recommendations, and a Resolution. One of the seminal issues that emerged from the conference is the recognition for poverty alleviation for protecting the environment. The Indian Prime Minister Indira Gandhi in her seminal speech in the conference brought forward the connection between ecological management and poverty alleviation. Some argue that this conference, and more importantly the scientific conferences preceding it, had a real impact on the environmental policies of the European Community (that later became the European Union). For example, in 1973, the EU created the Environmental and Consumer Protection Directorate, and composed the first Environmental Action Program. Such increased interest and research collaboration arguably paved the way for further understanding of global warming, which has led to such agreements as the Kyoto Protocol and the Paris Agreement, and has given a foundation of modern environmentalism. ↑ "Archived copy". Archived from the original on October 17, 2013. Retrieved September 17, 2014. ↑ Strong, Maurice; Introduction by Kofi Annan (2001). Where on Earth are We Going? (Reprint ed.). New York, London: Texere. pp. 120–136. ISBN 1-58799-092-X. ↑ DeSombre, Elizabeth (2006). Global Environmental Institutions. Rutledge. pp. 22–23. 1 2 Astrachan, Anthony (March 17, 1972). "Goals for Environment Talks Listed". The Washington Post, Times Herald. p. A20. 1 2 Sterling, Claire (June 10, 1972). "Chinese Rip U.S. At Parley". The Washington Post, Times Herald. p. A1. ↑ Venkat, Vidya. "Indira Gandhi, the environmentalist". The Hindu. Archived from the original on May 7, 2018. Retrieved May 21, 2017.